9 Bedford Row International is pleased to welcome Almudena Bernabeu as an associated member of the international team. Her full profile may be accessed here. Almudena is an international attorney with extensive experience in international human rights and international criminal law. Her practice has been central in Human Rights investigations and litigation in Latin America. She currently leads the Latin America and European work at the US based Centre for Justice & Accountability, serving on high profile US-based civil Alien Tort Statute litigation, as well as human rights and criminal prosecutions before the Spanish national Court under the Universal Jurisdiction legislation. 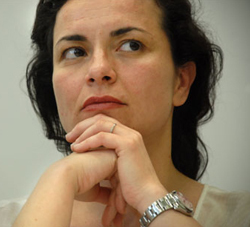 Almudena is internationally respected for her work in all areas of transitional justice. In particular, Almudena was awarded the Medal for Professional merit from the Madrid Bar Association in 2014, and the Human Rights Hero Award from the programme for Torture Victims in 2013. Almudena will bring a wealth of experience to the practice group, and further expand the group’s ability to offer the high standard of representation to our international clients in any jurisdiction.